Rates are based upon the Capital Improved Value (CIV) of each property. Council then provides a tax rate for each property known as ‘the rate in the dollar’. The CIV is multiplied by the rate in dollar to total the amount of annual rate raised. For 2018/19 Council has several tax rates for different property groups. * To fund drainage works, urban and commercial/industrial/tourism properties in Swan Hill and Robinvale will be charged a rate in the dollar that is 4% higher than the General Property rate. Council also provides rate reductions for Not-For-Profit recreational properties and for commercial properties in Common Occupancy with a residence. Properties classified as tourism, commercial and industrial in the southern sector of the municipality are charged special rates. 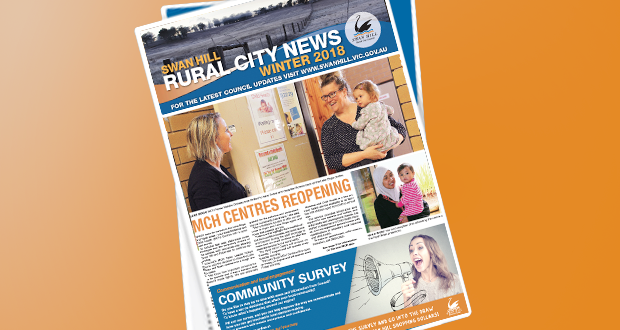 Funds raised through the special rate are used by Swan Hill Incorporated to promote the Swan Hill region as a place to live, work, visit and shop. Swan Hill Incorporated is governed by a local board and three sub-committees who carry out activities. This includes television and print advertising, shop local campaigns, professional development, business forums, local festivals and events, and promoting the region at consumer trade shows. All categories have a minimum amount of $50.00. From 1 July 2013 Council must levy and collect Fire Services Property Levies. The levy has a fixed and variable component. The levies are shown on your annual rate notice. The levy is forwarded directly to the State Revenue Office. Council does not receive any funds from the levy. Every property with a habitable dwelling in the garbage service collection area must pay a garbage collection charge.